Dandiya is mainly a Dance form of Indian state Gujarat but in these days Dandiyan festival is very famous in all over the India especially in Navratri. So if you are not in Gujarat these days but wants to celebrate Dandiya and Garba than i am here to help you to find the best Dandiya Night places in Delhi/ NCR. Delhi/NCR celebrates Many Dandiya Festival in all around the city, but i am going to list down some of the best Dandiya Night in Delhi 2016. 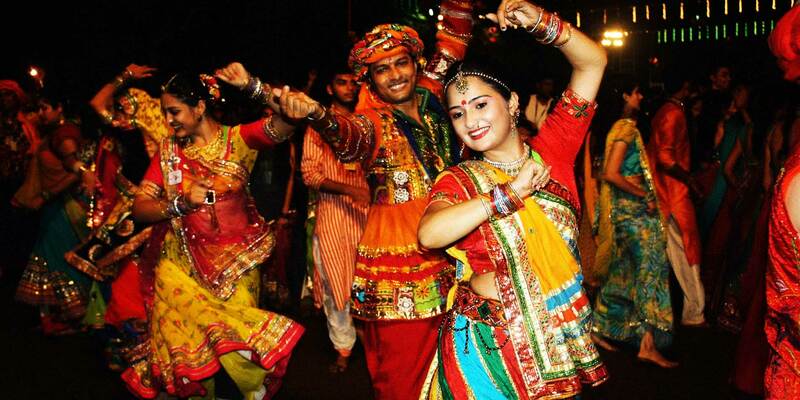 This is the place where you can enjoy Dandiya or Garba Rass and at the same time taste delicious food. One more different thing is that you can enjoy watching the act of Maa Durga fighting with Demon Mahisashur in lush green Garden. You can get your Free Dandiya from there. Dandiya Raas at Dilli Haat is the most popular and oldest Navratre Dandiya Night festival in Delhi/ NCR as it cheap and best. Entry ticket to Dilli Haat Dandiya Night is only 20 Rs per person and if you are not interested in Dancing than you can enjoy food at stalls. Entry charges of Dandiya Nights at Adventure Island:- Rs 500 for couple and Rs 300 for Individuals. Navratri Dandiya Night with adventures rides with tasty food is the explanation of Navratri Dandiya Night at Adventure Island. So if you are not interested at Dancing than you can enjoy food adventures rides.